It was over a year in the making. The re-branding/re-naming of SPBT (the Society of Pharmaceutical and Biotech Trainers) has finally come to pass! 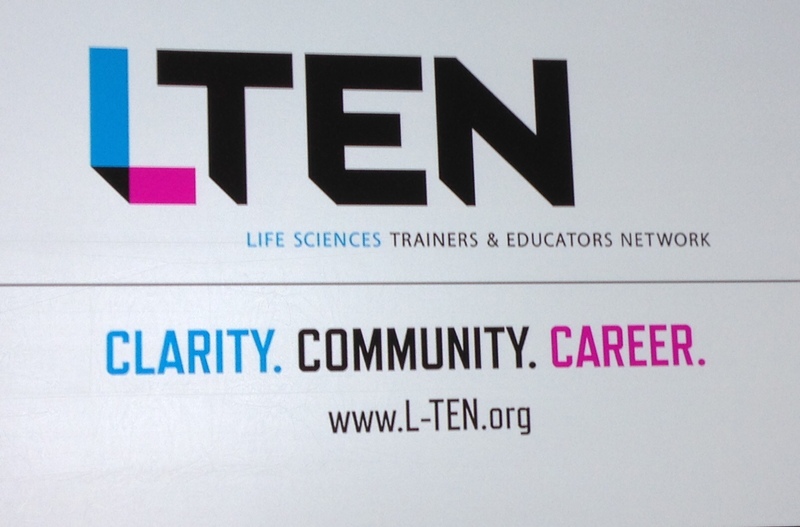 Welcome LTEN – the Life Sciences Trainers and Educators Network. A more inclusive name for the more diverse population of learning professionals (including pharma, biotech, medical devices, and diagnostics) that now make up the organization. As a branding guy, I like it. The name has flexibility. The acronym is simple. The new look is modern. 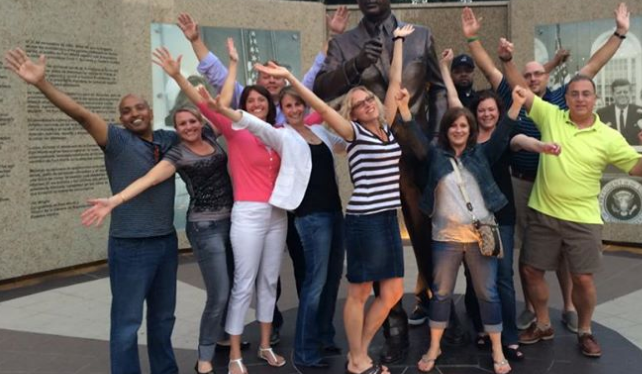 This was a major win (kudos to the LTEN staff and board for the successful re-launch)! And, it was only slightly disconcerting to have LTEN President John Sjovall march out on stage in a Roman gladiator get-up…! Over 18 years, I have seen the organization evolve, from its roots as NSPST (National Society of Pharmaceutical Sales Trainers), to the present day as LTEN. And every year, the annual gathering is a highlight of my spring schedule. 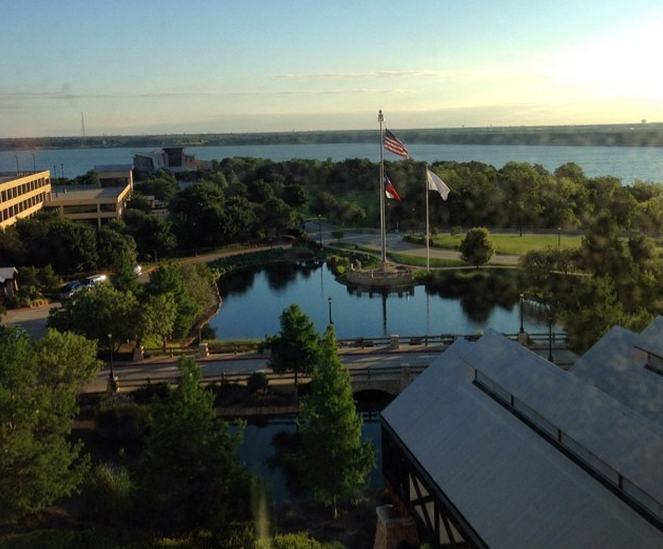 The conference this year was held at the Gaylord Texan, a mega-hotel/destination in Grapevine, TX. The vast Gaylord properties can be a little overwhelming, but the facility and the LTEN staff did an excellent job with signage and traffic flow. It was a good choice of venue – especially because there was BBQ (more on that later). Next year’s event will be in the Phoenix area – the first time there in recent memory. There was an interesting mix of keynotes. Amy Cuddy opened up the conference with a talk on, for lack of a better term, “power posing” – how the way we carry ourselves physically impacts, not only how others perceive ourselves, but how we feel internally. This was an OK session, though I didn’t feel the theme was uniquely targeted to our particular audience (there was a lot of power-posing going on during the week, however!) On the other hand, double-amputee model and athlete Aimee Mullins had a pretty inspirational story about not viewing disabilities as disabilities at all. Many seemed moved by her message and example. She’s a good public speaker, though with room for improvement on liveliness. When Dr. David Rock got up to speak, about Neuroleadership (aspects of brain science on how we learn and lead), one of the people at my table confessed that she was a David Rock groupie after hearing him previously (confession: I tend to snort at becoming groupies of anyone or anything). I then proceeded to become a David Rock groupie after an hour of mind-expanding neuro-psych-analysis. I’ll bet some others were less enamored, but as a college psych major and highly analytical thinker, I was totally energized! The conference keynotes closed with my friend Dr. Karl Kapp (a professor of Instructional Technology) not only talking about gamification, but delivering a thoroughly gamified session – really well done. Karl’s a smart guy. One interesting twist this year was a series of 3 EdTalks – 18-minute sessions on more limited topics. Other innovations included a much more robust conference app (including a photo game called Play Click), learning stations in the exhibit hall, Dine Arounds (and other networking activities), and early morning fitness opportunties. 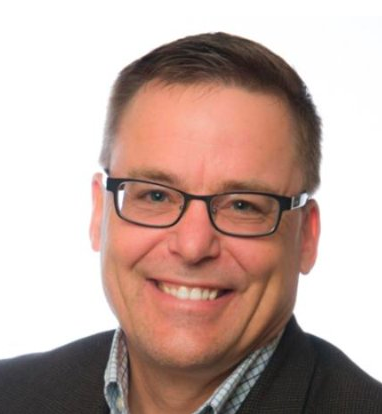 The fresh thinking that Executive Director Kevin Kruse and his talented staff have been putting into the conference over the past few years really bore fruit in 2014 – I had the sense that we have finally attained a major re-boot in the conference and the organization. I had the pleasure of co-leading a workshop on Career Choices with the engaging and deeply-experienced Jerry Clor – there is always plenty of professional introspection occuring about staying within pharma, or going out to the “dark side” (vendor community) – we tried to provide some advice and pros/cons about the various options. 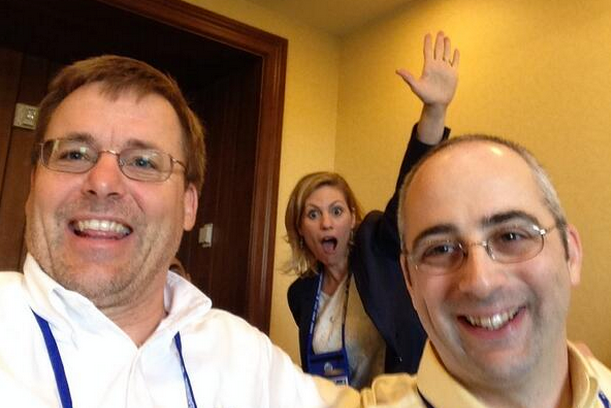 There were many good workshops – quality is always variable – with occasional photobombers present (thanks, Sue!). The feedback I was getting from exhibitors was actually quite positive this year, especially regarding the quality of interactions with attendees. The ongoing tweaks to workshop scheduling has led to some very nice, extended times in the exhibit hall. I was disappointed to see that the size and number of booths continues to shrink somewhat, and LTEN has some work ahead to convince past, present, and new exhibitors that setting up a booth at this annual conference is a good return on investment. One of my favorite aspects of the conference, not surprisingly, is the networking – over meals, after sessions, in the exhibit hall, and during evening events. Getting caught up with folks I’ve known for many years – and always meeting new people -is the chief reason I attend. Many attendees who knew that my family is about to move from NJ to Nashville expressed incredible support and gladness for us – maybe even a bit of jealousy – and this really lifted my heart. My Impactiviti services (consulting and workshop facilitation and client-vendor matchmaking and clarity therapy) won’t change at all; but now, when you make trips to Nashville for business or pleasure, you’ll have someone you can turn to for coffee, or advice. Or BBQ. Which brings me to the last point. BBQ. Specifically, Bill Lycett‘s suggestion that we try out Hard Eight barbecue pit a few miles away. 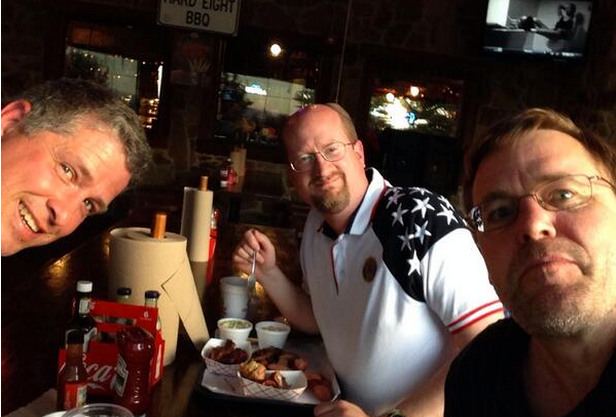 Bob Holliday, Bill, and I waddled out of there stuffed to the gills with some top-shelf Texas BBQ. I wanted to bottle the aromatic smoky air and take it home with me as a souvenir of a very enjoyable LTEN conference experience (let’s hope Phoenix has something comparable…)! All in all, a very enjoyable week. The LTEN staff and volunteers were a pleasure to interact with, as always. Looking forward to years of steady progress ahead with this re-energized organization!